LOUISVILLE, KENTUCKY – Rev. 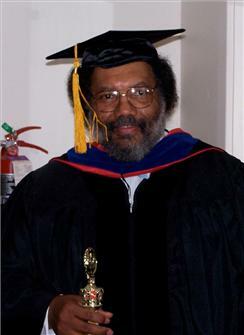 Joseph R. Sams, pastor and builder of the New Covenant Baptist Church and fervent supporter of Simmons College of Kentucky, went home to be with the Lord on Tuesday, January 8, 2013. His homegoing services were today, Saturday, January 12, 2013. Rev. Sams is survived by his wife, Cathelma; two daughers, Allesandra (James) and Alexandria; and one grandson, Derrick Anthony. Visitation was held this morning from 10 a.m. to 11 a.m. Services began at the Church at 11 a.m. and Dr. Kevin Wayne Cosby, pastor of St. Stephen Baptist Church and President of Simmons College of Kentucky was the eulogist. In lieu of flowers the family respectfully asks that donations be made to the S.J.S. College Scholarship fund of New Covenant Baptist Church.